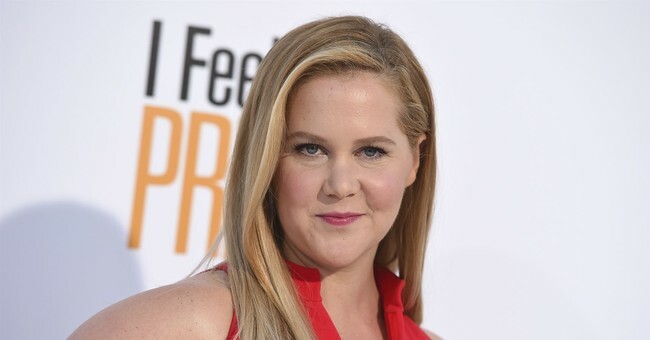 Comedian Amy Schumer on Friday vowed to turn down any potential NFL advertisements this year. Her reason is simple: she wants to support Colin Kaepernick and his kneeling during the national anthem. Kaepernick is still not playing for an NFL team, despite becoming a major voice for a new Nike ad campaign. Schumer took to Instagram to explain her thought process. Of course, she instantly talked about racism and what it's like for minorities (as if she'd know). "Once you witness the truly deep inequality and endless racism people of color face in our country, not to mention the police brutality and murders," Schumer wrote. "Why not kneel next to your brothers? Otherwise how are you not complicit?" Schumer's decision to turn down NFL advertisements isn't a miraculously new idea. In fact, it comes a day after Rihanna turned down the NFL's request to have her perform at the Super Bowl halftime show. Once Schumer heard Maroon 5 was being considered for the Super Bowl halftime show, she also encouraged the group to consider saying "no" to the NFL as well. Let's see how this goes over and how Maroon 5 will respond. Hopefully they won't give into peer pressure from idiots like Schumer.